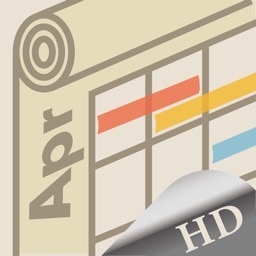 This App provides you with a single, a twin, a week-based, a quarter and an annual calendar. 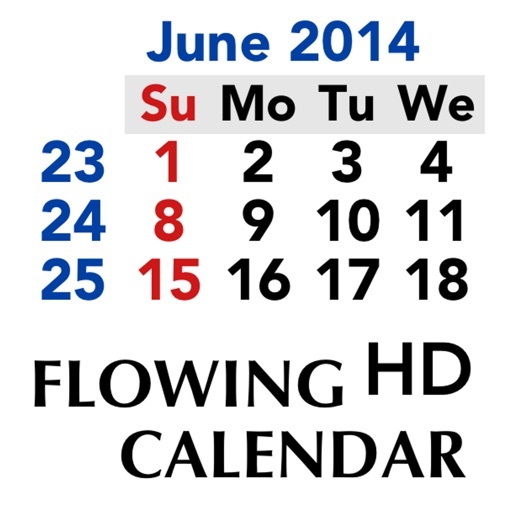 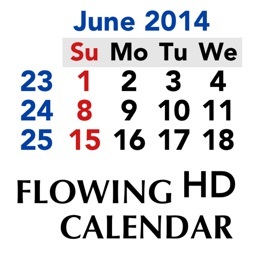 The calendars are shown in the device's language and according to the region's rule. 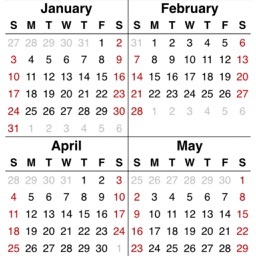 The calendar weeks are shown in all calendars. 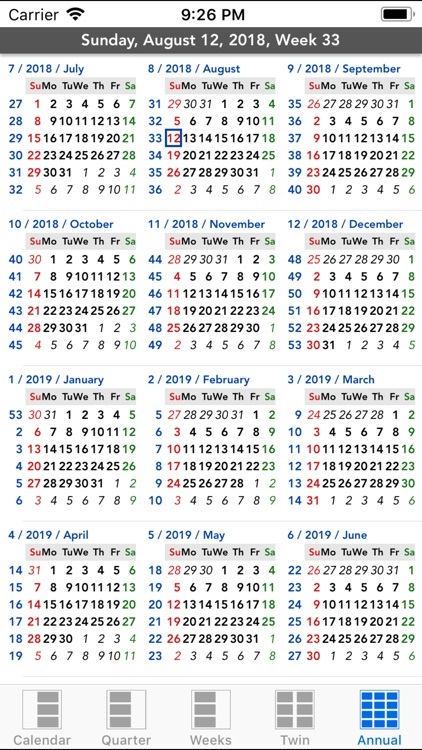 Using the calendars, you can go to every month directly (January 0001 - January 4000). 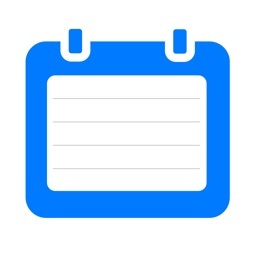 The week-based calendar shows the weeks and months with excellent readability. 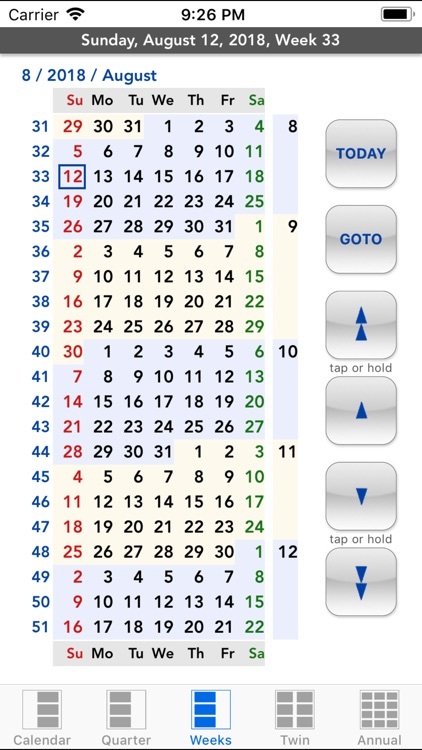 The GOTO function makes it possible to quickly jump to a month within the calendar range. 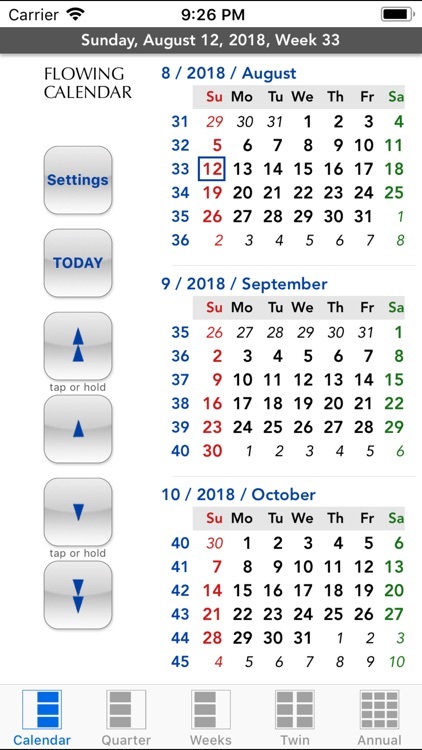 Double-tap on a calendar will start the GOTO function. 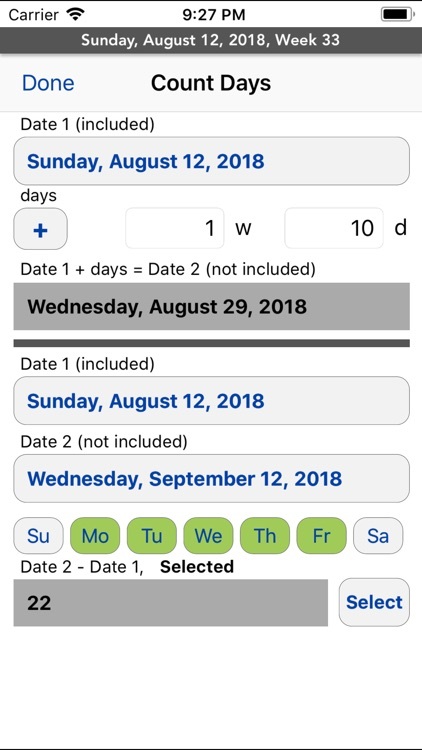 In the App's settings page you can choose to use the english week day names. 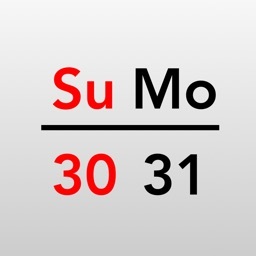 This app displays also the japanese calendar year since Meiji era (device in japanese). 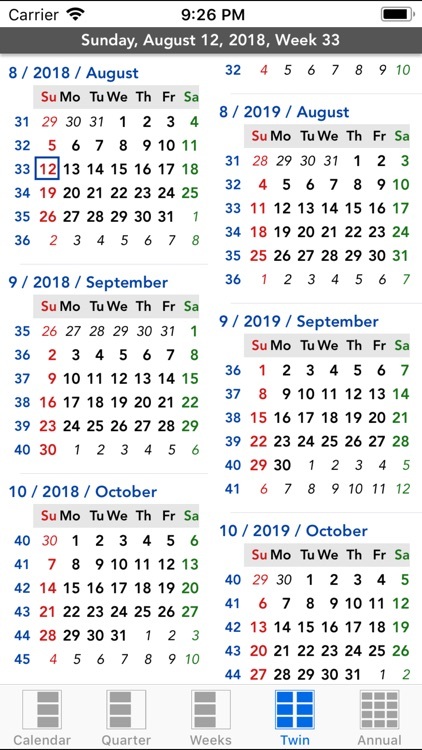 You can count days between two dates.